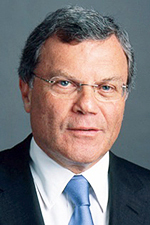 WPP has announced preliminary results for 2012. Group revenues rose 3.5% to around �.4bn, and headline EBITDA rose 7% to �76bn; but in the Consumer Insight division, like-for-like revenues rose just 0.8%, with gross margin down 1.1%. Reported consumer insight revenue was �46bn. The Group said the mature markets of North America and Continental Europe remained difficult for the division in Q4 but were again counterbalanced by strong growth in the faster growing markets of Asia Pacific, Latin America, Africa & the Middle East. The UK slowed in Q4 after a good previous nine months. Like-for-like revenue growth in the custom businesses is slow in 'mature markets, where discretionary spending remains under review by clients'. Consumer Insight performed ahead of PR and Public Affairs in revenue growth terms, but behind other divisions including advertising; in terms of margin, however, consumer insight trailed the Group. Group like-for-like revenue rose 4.4% in the UK and 8.3% in emerging markets including Asia Pacific, Latin America, CE Europe and Africa / Middle East; elsewhere they were flat. In a statement, WPP said that despite 2012 being 'another record year' this one had 'felt very different', adding: 'We reached our targets, but we got there ugly.' This it puts down to a lack of confidence, with a number of major unknowns choking the global economy, despite clients being generally 'in stronger shape with profits at an all-time high as a proportion of GDP, margins generally stronger, share prices rising' and substantial cash reserves in the case of US-based multinationals at least. The group will continue to look at acquisitions, noting: 'There is a very significant pipeline of reasonably priced small and medium sized potential acquisitions, with the exception of Brazil and India and digital in the United States, where prices seem to have got ahead of themselves because of pressure on competitors to catch up.' Net acquisition spend is 'currently targeted at around �0 to �0m per annum'.